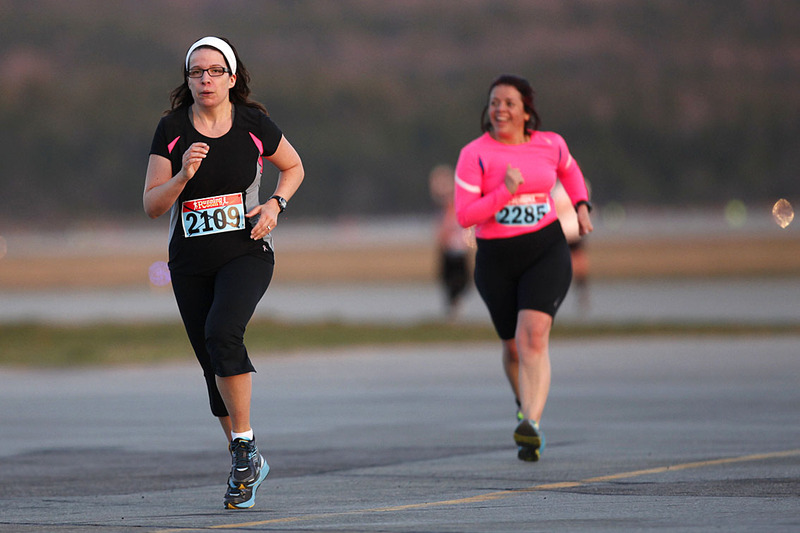 When Kathy decided to run a half marathon last year, she did so with some uncertainty. But it was fantastic to witness her progress, moving from single digits in training kilometres to each barrier she broke as the distances increased. Beyond that, though, was seeing her great determination and sheer will in order to meet her goals. A couple of years back, she did a half marathon, walking, as part of a Nordic-walking club, completing the route in a few seconds under four hours. 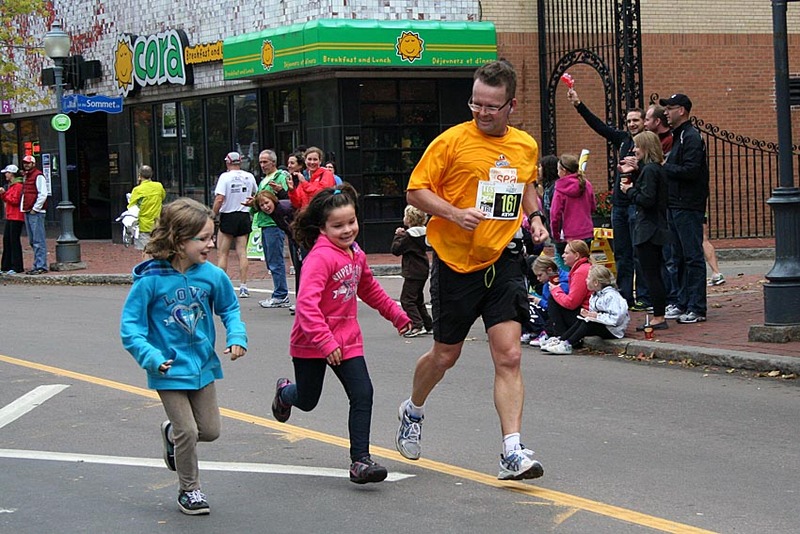 This year in running the P.E.I. Half Marathon, after months of intense training, she took almost one hour and 30 minutes off that time, an amazing reward for her commitment. A sure sign of fall is the obsession over fantasy football stats, back to school shopping and the Hampton 5-miler. The Hampton race has developed into a tradition for our family, with events for the girls to get them into the swing of things, including a fun warm-up and a 1 km event around the school and the track. After, there is a challenging 8 km route for the adults, one featuring two decent hills that will test you as well as a significant downhill portion that can yield fast, fast times. This year, the event serves as the NB championship for the 5-mile distance, which is a way to say there will be plenty of top level racers on hand and the pace will be quick. That said, it is important for the rest of us to go our own pace and not to get caught up with the fast-paced rabbits. Easier said than done! This is just my second race of the year, but it will be a good assessment of where I am at in prep for PEI. The past two years, I have posted times of 38:04 and 38:02 for the 8 km. Not sure if I can better those but those will serve as measuring sticks. After this race, it is likely we will head to Fredericton for a half marathon Sept. 22, the final race test before PEI. As you can gather by the elongated break from this blog, August was pretty hectic in terms of life at the family homestead. My wife, who is training for a half marathon in PEI as well, was out of the country for nine days, we wrapped up our soccer season, traveled to PEI for my cousin’s wedding, which I took pictures at, and then got ready for school. It ultimately cost me in terms of running. There were some gaps for sure. I got all the Sunday long runs in and most of the general runs but the biggest victims were the speed and tempo runs. Tuesday, was a nice 11km recovery run with a slight drizzle, nothing too major and certainly not the downpour it was at times during the day. It finished with six strides, those 100 metres sprints with 200 metres break. Overall, it was a nice evening for a run. On the weekend, I tackled 32 km for the second time. It was humid and I started at 11:30 a.m. Two big strikes against potential success. Let’s say, if the humidity is a factor in PEI, I am toast. That simple. Sunday, I was great for the first 24 km then it hit. So I basically ran-walked the final 8 km and still finished with an average of 6:35 per k, which is more than acceptable for a long slow run. Just the finish was blah. This week features the Hampton run and a 27 km long run as well as some extended tempo work Thursday, featuring a series of 1,200 m intervals at 5km speed. Just took a look at the registration for PEI. 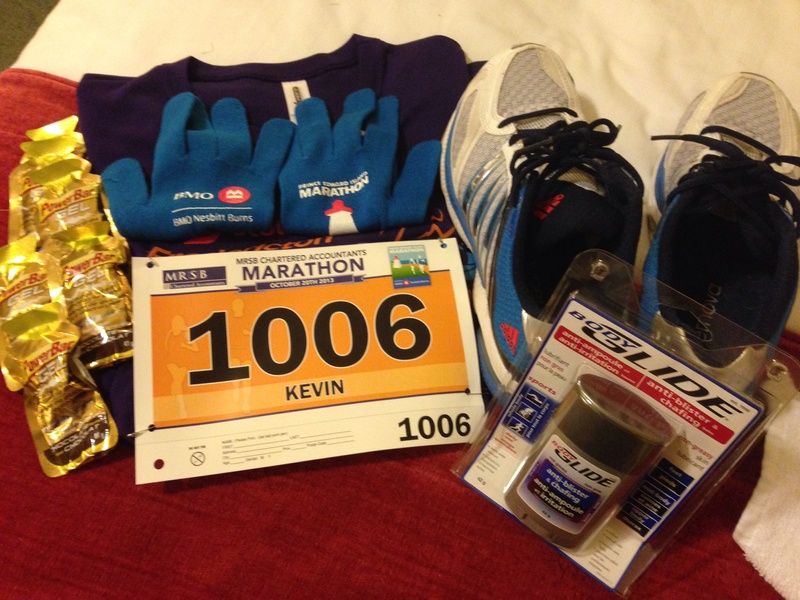 Last year, 275 people finished the full marathon and 3:59:59 was good for 117th place, slightly better than halfway. This year, registration is at 114 to date. 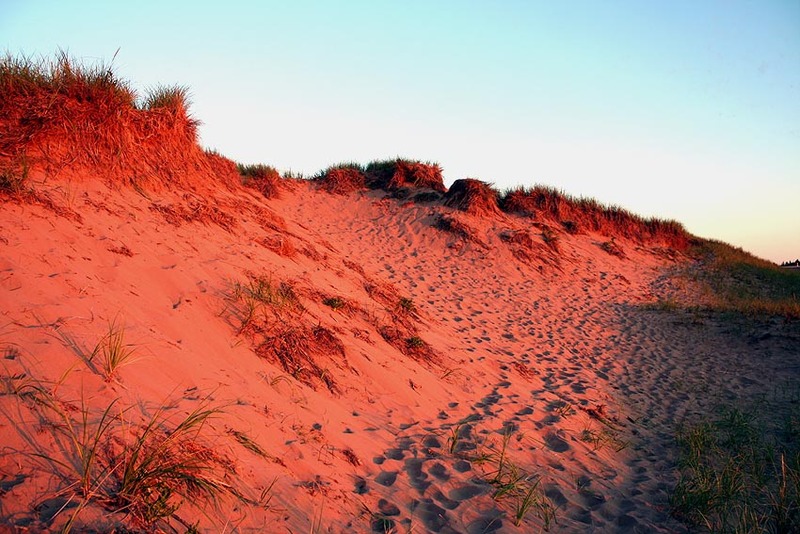 The sunny beaches of P.E.I. look fantastic in the summer. My wife snapped this great shot a few years ago during one of our many visits to da Island. Symbolically, I wonder how they will appear in October, in the cool fall atmosphere, moments before the P.E.I. marathon kicks off. A question for another day! This week’s update comes on the eve of a small accomplishment. With just two weekend runs remaining, the first mini goal of the training program is almost complete – four weeks of progressing to the baseline of the Pfitzner 18/55 training plan for the P.E.I. Marathon. There are a number of stages in the complete plan, with the next six weeks dedicated to endurance building. Long runs in this stage peak at 26 k and there is even a mid-week ‘medium long run’ that hits 16k at one point. Longer efforts are in store in the subsequent stages but this stage essentially builds your stamina on top of the blocks achieved in the preliminary round. This week’s runs have included a tempo effort, with 4k at 5:00/per km pace as part of a 10k run, then a 6k recovery at 6:39/per km and a 12k general aerobic run Thursday at 6:21/per km. On the weekend, I have an 18k long run planned for Father’s Day! No sleep in but I should be able to hit more than 50k for the week in five outings. There is big news in the house this week, though. 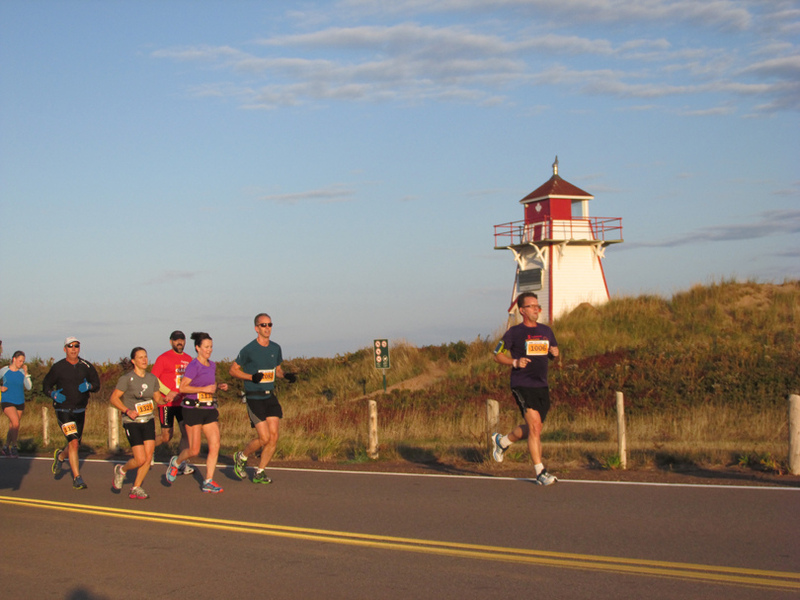 My lovely and talented wife is also going to run in P.E.I., as she is taking on the challenge of running the half marathon in and around Charlottetown. She is making great progress and is combining her efforts in the gym with running. It has already made a big difference as earlier this year, she knocked almost seven minutes off her 5k time from 1999! Seems no shortage of marathon topics to read and watch as many have just started or are about to start their summer training for October marathons. On YouTube, one interesting topic was a screening this week of Spirit of the Marathon II in the U.S., a documentary on a number of runners at last year’s Rome Marathon. It looks fantastic and the trailer can be seen here. However, there are also trailers for the opening version – Spirit of the Marathon, along with the entire first documentary, based on training for the Chicago Marathon in 2005. This weekend, of course, many Dads will get crazy ties, gift certificates for the golf course and lots of special attention. I really can’t wait to see what the girls have in store. It is also a time of reflection though, one in memory of my father Jack. I wrote a piece after he died and I find myself reading it once in a while. From time to time, I find this story is a great reminder of days gone by. I have a photo of him and I at the end of the 2000 Confederation Bridge run. He showed up to see what all the fuss was about and was there when I finished the 14k trek. I’ll try to track that down. Both good and bad to report as the third week of a four-week base training plan finished up. Now, it is the last bit of ‘preparation’ and the homestretch of the first stage of getting ready for the P.E.I. Marathon. The good was my developing admiration for the Pfitzer approach to dealing with long runs. That is breaking them into two segments; the first at 20 per cent above goal pace and the second at 10 per cent above goal pace. Sunday’s LSD was 16k and with various scheduling options, I got out for a nice afternoon run, with temperatures in the mid teens C, not bad humidity and a slight wind that was at my back for the first half and facing me in the second half. The goal for the run equated to 8K @6:41 pace to start , followed by 8K @6:07 to finish. As has been the case, I have been struggling to hit the targets. Slow is good for these lengthy runs, the run doctors say. Over stressing on the long runs can lead to problems and fatigue through the week on other runs and eventually, injuries or other factors will kick in to curtail training efforts. The result Sunday was an opening half in 6:29 per k and the second half in 5:48 per k, for a nice negative split. There is quite a hill (the girls and I call it Will Hill) in the final 500 metres of this course, and last week I walked a small part of the way. This time, I made it all the way, which was a nice way to end. The bad was just four runs for 41K – 9K and one outing short of the weekly goal. I was going to run Thursday and Friday evenings but each night, once I crossed the 9:30 p.m. threshold, I was too tired. I really have to deal with this soon, especially in the second week of the actual plan, when Kms take a decided increase. Another bad note was eating – see note on weight below. Week 4, goal 50 k, run 5 times, get in 18k-long run.